Patti Neighmond Award-winning journalist Patti Neighmond is NPR's health policy correspondent. Her reports air regularly on NPR newsmagazines All Things Considered, Morning Edition, and Weekend Edition. Does Tylenol Worsen Asthma For Kids? February 20, 2012  Researchers have long known that aspirin can be risky for children who have asthma. Now some researchers are pointing to data that suggests acetaminophen could be a problem, too. 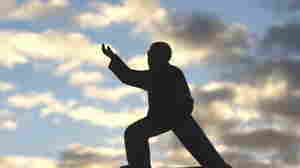 February 9, 2012  The ancient Chinese martial art has been shown to benefit older people by maintaining balance and strength. Now, researchers find Tai Chi can also benefit patients who suffer from Parkinson's, a progressive disorder of the nervous system that affects movement and motor control. February 6, 2012  Access to emergency contraception has swirled at the center of a recent flurry of debate over insurance coverage. 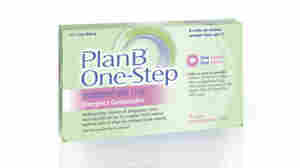 The most popular brand, Plan B, is a pill women can take if their birth control fails or they forget to use it. Today, about 10 percent of sexually active women say they've used Plan B.
January 25, 2012  Middle-aged men with two common risk factors have a 50-50 chance of having a serious heart attack or stroke as they grow older, a new study finds. The findings suggest that taming risks early in life can make big difference later on. January 9, 2012  Most people who wear contact lenses don't clean them properly. In fact, a recent survey found that some people admit to using lemonade, butter and beer to clean them. Dirty contact lenses can cause serious eye infections so cleaning them properly is important. January 3, 2012  Morbidly obese people who had bariatric surgery had fewer heart attacks and strokes than similar people who didn't have the surgery, Swedish researchers found. Even so, a U.S. surgeon cautions that the benefits of the procedure don't necessarily outweigh the risks for many people. January 3, 2012  Arguments between teens and parents can be a critical training ground for teens to learn how to resist negative peer pressure, research suggests. The best thing parents can do to help their teenager argue more effectively? Listen. Road Rage: More Than Bad Traffic? December 12, 2011  It's not unusual for awful traffic conditions or incompetent driving to make some people really angry behind the wheel. But researchers say there may be a biological component to road rage — one that can be tempered with medication and, yes, time outs. 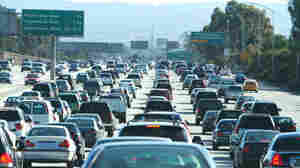 Road Rage: A Symptom Of Much More Than Bad Traffic? December 2, 2011  The mothers in a new study spent 10.5 more hours every week multitasking at home compared with working fathers — doing typical chores like cooking and laundry, or working from home, while also attending to the kids. And those women reported much greater feelings of stress and being overwhelmed. December 2, 2011  A study in the American Sociological Review shows that working moms are more stressed out by multitasking than working dads. It's a significant finding because women report they do a lot more multitasking than men. December 1, 2011  Medicare has announced that it will pay for primary care providers to counsel obese patients on losing weight and maintaining the weight loss. 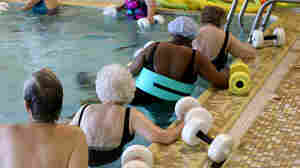 Medicare will pay doctors, nurses and physicians' assistants to help plan weight loss programs. 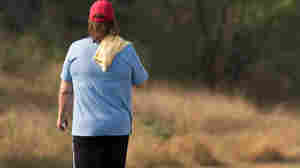 November 28, 2011  Exercise keeps arthritis from getting worse, doctors say. But a new study suggests that many adults with joint pain aren't trading in their sedentary lifestyles for daily workouts. November 14, 2011  In a country with a rampant obesity epidemic, many patients say their doctors don't spend enough time talking with them about losing weight. But doctors often complain that when they do bring up the issue, nothing changes. One recent study found that people were able to burn up an extra 450 calories a day with one hour of moderate exercise. That can include walking briskly, biking or swimming. October 31, 2011  Most people who lose weight end up gaining it back — and it's not just a matter of willpower. In fact, once we begin to shed those first few pounds, says one expert, "the biology really kicks in and tries to resist the weight loss." A pediatrician says parents often mistakenly believe all baby accessories are safe. 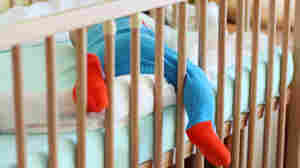 October 18, 2011  Expanded guidelines from the American Academy of Pediatrics recommend that parents remove blankets, bumpers, pillows, and toys from a baby's crib to protect them against suffocation and other threats.